✅ Trip Verified | Los Angeles to Orlando. Worst service ever! I repeat worst service ever! Explains weather related delays but flight at the gate for past 2 hours ready with no crew members. Apparently they have no pilots or crew members to run the route. The fight has changed times over 5 times from 6:58 to 9:13 to 8:58 to 10:15 and finally to 11:15 still in the waiting area with no further info on the crew and if the flight is going to be delayed any further. "not how you conduct business"
Not Verified | New York to Charlotte. Please be advised that Jetblue is not honouring flight in or out of JFK and are not informing customers but simply cancelling the flight. This has been the biggest disappointment thus far as my husband and I are trying to travel home for my grandfather's funeral. They are not providing us with a reasonable explanation as to why this is happening and are giving us a hard time with reimbursing the money we have already spent on our round trip flight. This is completely unacceptable and I advise you to think twice, no three times about booking a flight with this airline. Their communication is not what it should be especially when customers are already in route with their traveling plans. They will take your money and not refund it when it is reasonably owed to you. This is not how you conduct business at all. ✅ Trip Verified | Ft Myers to New York JFK. 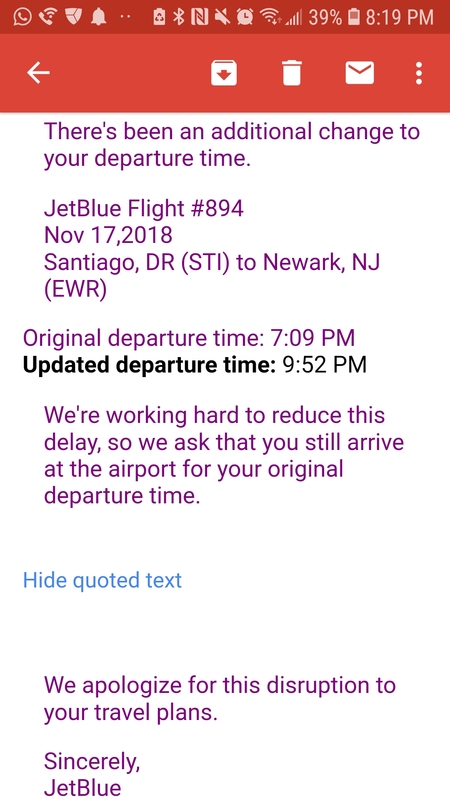 So my last 4 flights with Jet blue were all delayed. Ridiculous delays of over 4 hours or cancelled. 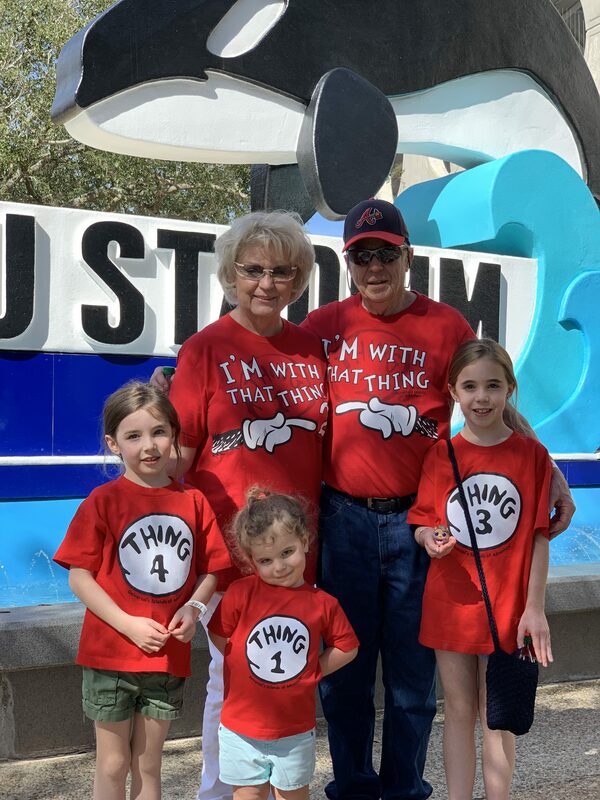 My brothers and sisters and I missed my mother’s surprise 80th birthday party in July 2017 and now in her time of death we were delayed getting to her last Thursday and now we are trying to get home post her death and it’s a 4 hours delay. Completely unacceptable. Completely unreliable. Worst airline ever for onTime performance. No compassion. The employees on the ground unhelpful. Simply saying all flight in and out of JFK are delayed. Not what I need to hear and would have appreciated knowing that upfront. Like I’m an idiot for not knowing this. But a complete lie as the plane that left NY after my flight arrived pretty much on time. Still waiting in the airport. JetBlue Your the worst. Thank for being consistently unreliable. I hope your proud of yourself. ✅ Trip Verified | Washington to Fort Lauderdale. This was the first time with Jetblue. We were admittedly sceptical due to mixed reviews. Check -in was smooth with friendly Jetblue staff assisting. The plane looked fresh with comfy seats and ample legroom. Food may not have been great but not bad. And, not to forget, proper wifi (Flyfi). The plane departed and arrived on time. All in all a good experience. Not Verified | Fort Lauderdale to Newark. I have always liked this airline, However, this particular flight was a disaster! I always book my ticket noting my Global ID number. On this flight not only was my Global ID number NOT on my ticket, in addition it did not designate an extra leg room seat. As a result I missed out on a seat up front putting me in a window Exit seat which does not recline. It would have been a nice gesture if the ticket agent had told me that fact. Not Verified | My flight from Atlanta to JFK on the 23rd was canceled due to mechanical issue, I missed my connection to Tel Aviv, and had to fly Turkish instead of El Al. My trip was for 7 days, my suitcase didn’t arrived till Wednesday the 27th because JetBlue set on it in Atlanta for 3 days before releasing it to Turkish Airlines. I was attending a wedding and all my stuff was missing. Niw I’m at JFK returning to Atlanta on JetBlue flight and we are going back to the gate for maintenance problems. They ruined my trip start to finish! ✅ Trip Verified | I am hear to voice my experience during my flight from Boston to Phoenix. I abstained from speaking to the people on the flight and the people at the front desk at the airport, as I know they do not have any say as to what was happening. This flight experience was poorly addressed and handled and the small $400 credit they sent in an email I do not feel is suitable compensation. Due to the lack of the airline getting me back to Phoenix on-time, I had to miss an important meeting with my business consultant that flew in from Maryland to meet with me. This cost me far more than $400! Not only that, the airline did not start telling people they would put them up in a hotel until 11pm, after they had us sitting on the runway for 4 hours! I had already left and checked in to the Comfort Inn and Suites, which they did reimburse me for after I wrote about my experience to their customer service. 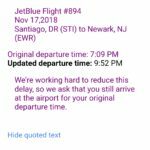 This delay had nothing to due with weather, it had to due with the poor scheduling of pilots on the plane that were ended up not being able to fly because their flight time ran out while we sat on the runway waiting for take-off! Absolutely horrible experience and their customer service continued to give me the same run around emails and they even had other people email me claiming they were supervisors and stating the exact same regards for my poor experience but there is nothing else they can do and they feel they have already compensated me fairly with their pathetic $400 credit. ✅ Trip Verified | Port of Spain to New York JFK. Long story short, JetBlue told me I read 8 lbs over on my bag. 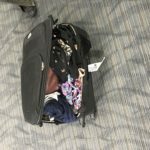 I wanted to pay the over weight fee, I was told I could not, I had to pay for another checked bag. 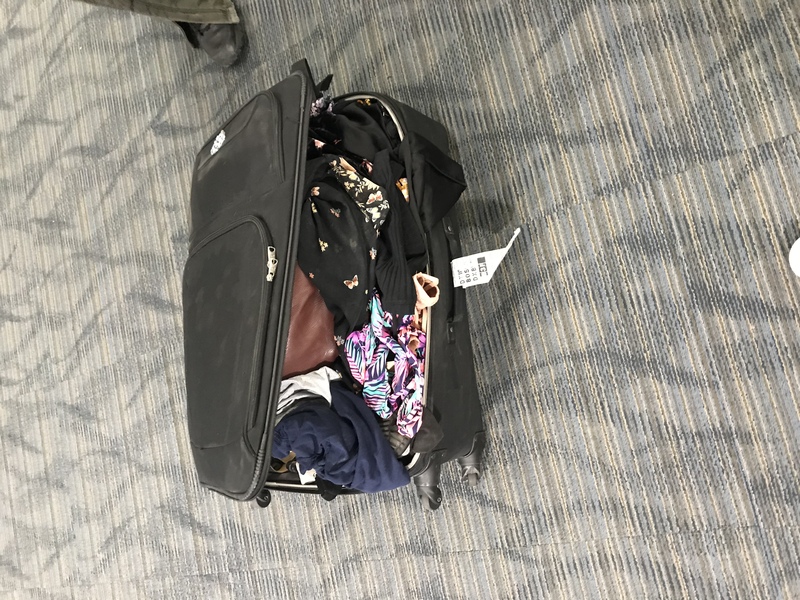 I didn't have another bag to move the over 8lbs over, so I was told I could not get on the plane or I could buy another flight for my bag. I will never fly this airline again. I reached out to customer service and they have yet to reach out to me. They do not care at JetBlue. ✅ Trip Verified | Salt Lake City to new York JFK. The flight to New York was dismal, they tell you one overhead and one carry on, wrong! They use the overhead for storing snacks and since the plane is so small I ended up having to have my overhead case between my legs the whole time there. The trip back was worse. They changed the time by an hour moving it so when i got there i was told i couldn't board and had to rebook for a flight that was 8 hours later! I wont ever fly Jetblue again, it was such a horrible experience. ✅ Trip Verified | Never ever fly Jetblue. 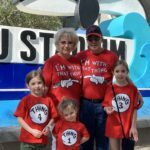 Our family had to fly with them three times and all three times there was at least a 10 hour delay in which the airline refused accommodations even though they knew we were traveling with a special needs child and a 3 year old. They had the most rude, arrogant customer service I have ever dealt with in my entire life!